Manchester Cares works closely with national and international corporations based in the city – to help us mobilise young professional employees to be part of the network, and to deliver the most exciting fundraising campaigns we can. There are several ways you can get involved, read below for how you can help! 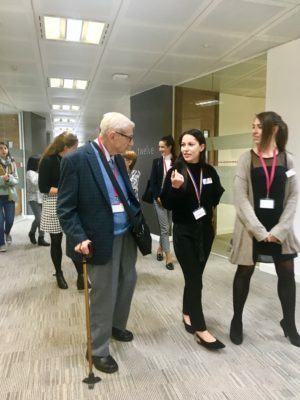 'Back to work' business visits are trips for older Mancunians to learn about the technology and business models behind the modern economy, so people can feel part of their rapidly changing city, rather than left behind by it. A business visit is usually a one off visit where neighbours can find out about your business and have a quick tour of the building. You could also invite a group of neighbours to attend a themed club at your business. Technology clubs are an easy and effective way to help neighbours feel more connected. You could help with seemingly simple tasks like setting up an email account or transferring photo's onto a laptop. A great way to use CSR Volunteering hours is by attending our daytime Social Clubs. There are usually three or four daytime clubs each month that we need volunteers to attend. These include theatre trips, quizzes, cultural visits, music clubs and more, so there really is something for everyone. All we ask is that you attend a short induction session, which we can come in and host for everyone interested. If you'd like to know more get in touch with Alex. 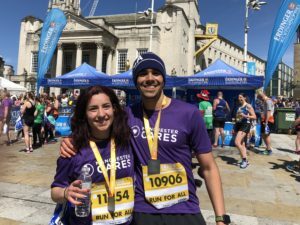 A great way to raise awareness for Manchester Cares is by taking on a fundraising challenge, from inflatable obstacle courses to marathons we have spaces available in lots of races all through the year. Not only does this raise support for our programmes but it's also a great team building exercise for your employees. See all of our challenges here. Please fill out the form below to register your interest and Alex will get back in touch with you as soon as possible.